William Rosenberg was born on June 10, 1916 in Dorchester, Massachusetts. 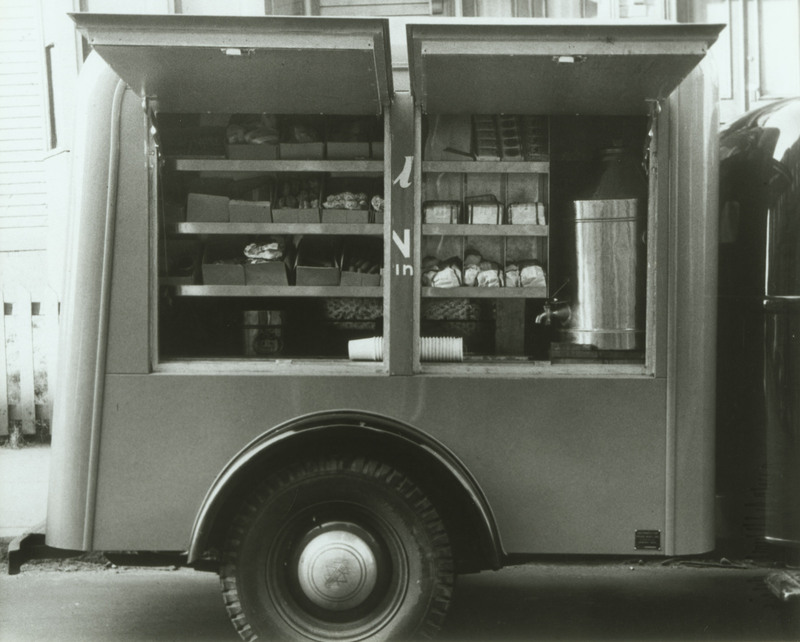 He left school at age 14 to help support his family during the Depression, and after World War II founded Industrial Luncheon Services, a catering service run from converted telephone trucks that served coffee and snacks to Boston-area factory workers during their breaks. 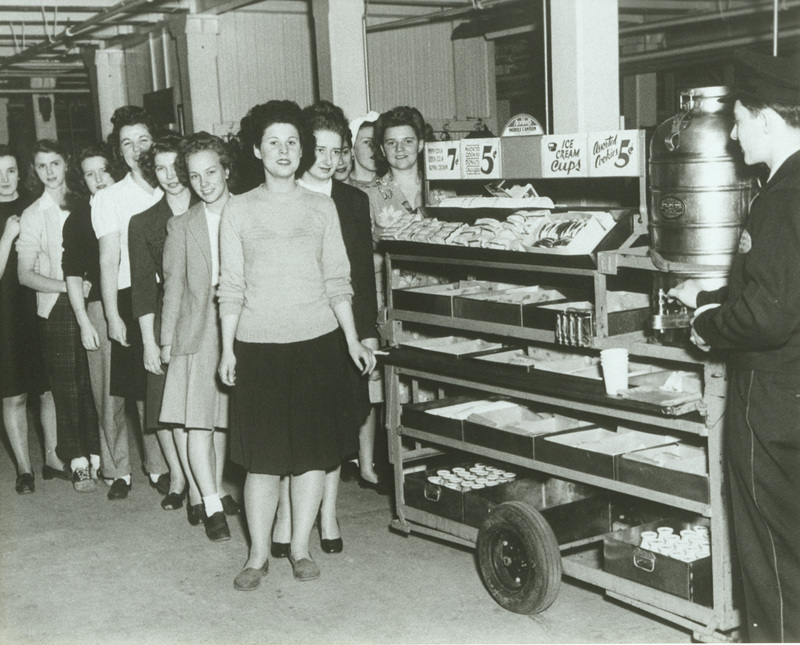 The business grew rapidly and branched out to include vending machines and in-plant cafeterias. 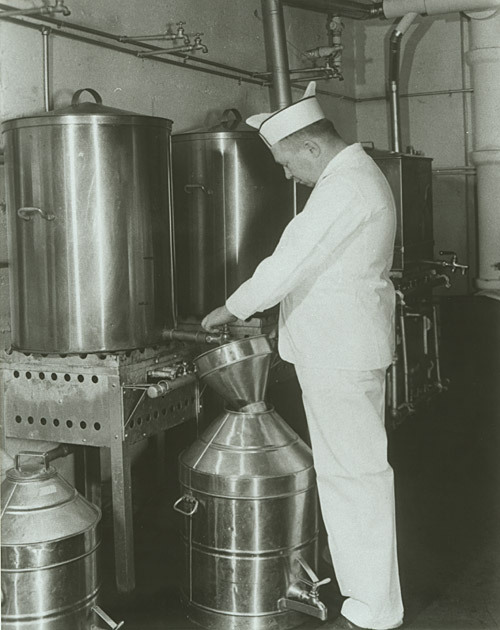 Noticing that coffee and doughnuts amounted to 40% of his total sales, Rosenberg opened his first doughnut shop, the Open Kettle in Quincy, Massachusetts in 1948. 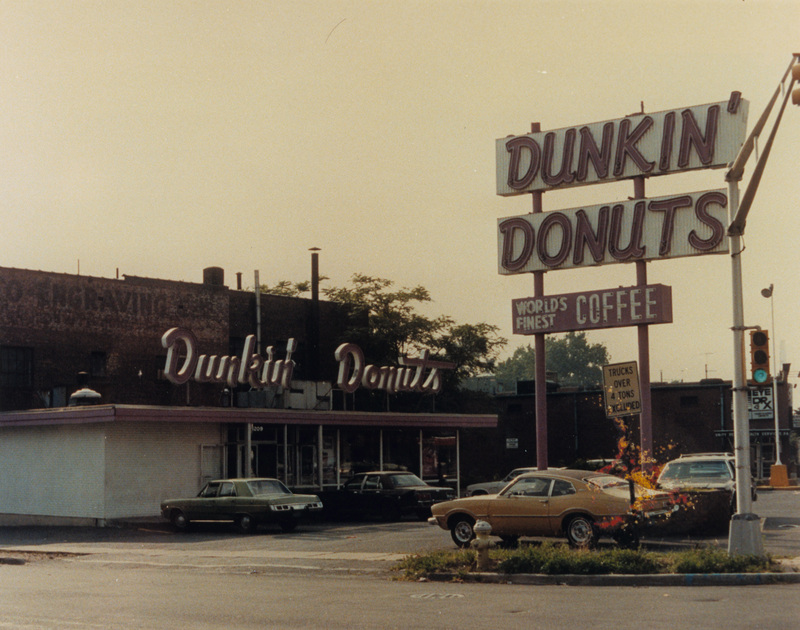 Open Kettle changed its name to Dunkin' Donuts in 1950 and operated inside a former awning store in Quincy, Massachusetts. Five years later, Dunkin' Donuts signed its first franchise agreement. Rosenberg's partner, Harry Winokur, was against this idea, so Rosenberg bought him out. Today Dunkin' Donuts has more than 5000 franchises worldwide. Ironically, Harry Winokur went on to found Mister Donut and its franchises. 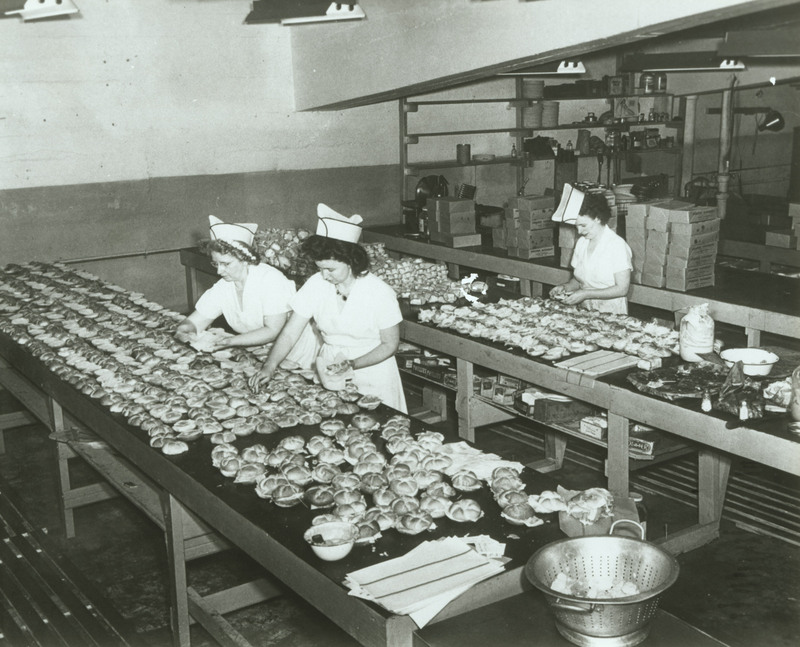 Around 1960, Rosenberg opened a burger chain, Howdy Beefburger, and placed these stores in the same location as his Dunkin Donut shops in a shared parking lot in order to better compete for property with the larger chains, such as McDonalds and Exxon. 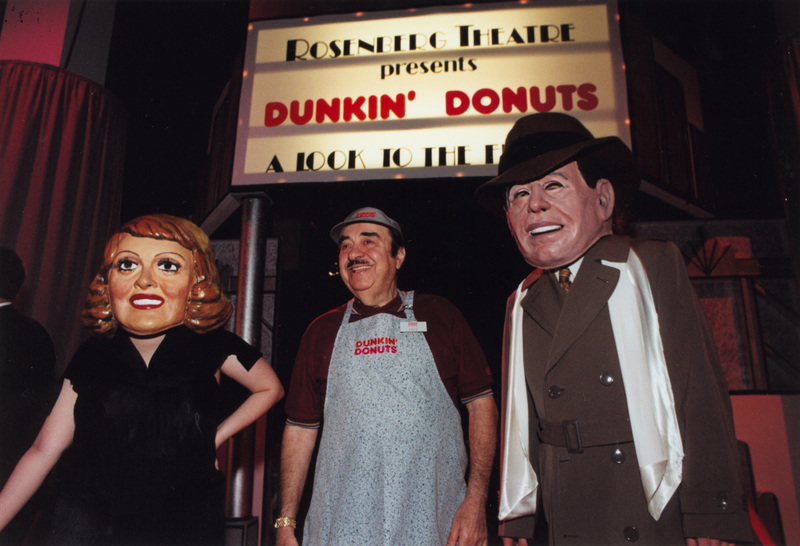 In 1963, Rosenberg handed over the presidency of Dunkin' Donuts to his son Robert, but he stayed on as chairman of the board and remained a vital influence on the company. 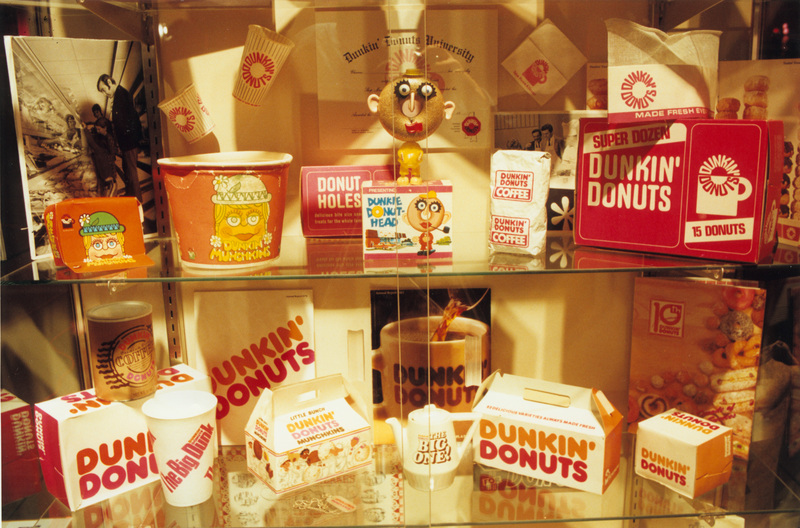 Dunkin' Donuts went public in the late 1960s, and the first overseas shop opened in Japan in 1970. In 1988, Rosenberg retired from his position with Dunkin' Donuts, but continued as a consultant to the company. Allied Domecq PLC bought Dunkin' Donuts in 1990, but sold it to Dunkin Brands, Inc. in December 2005 (see Wikipedia). 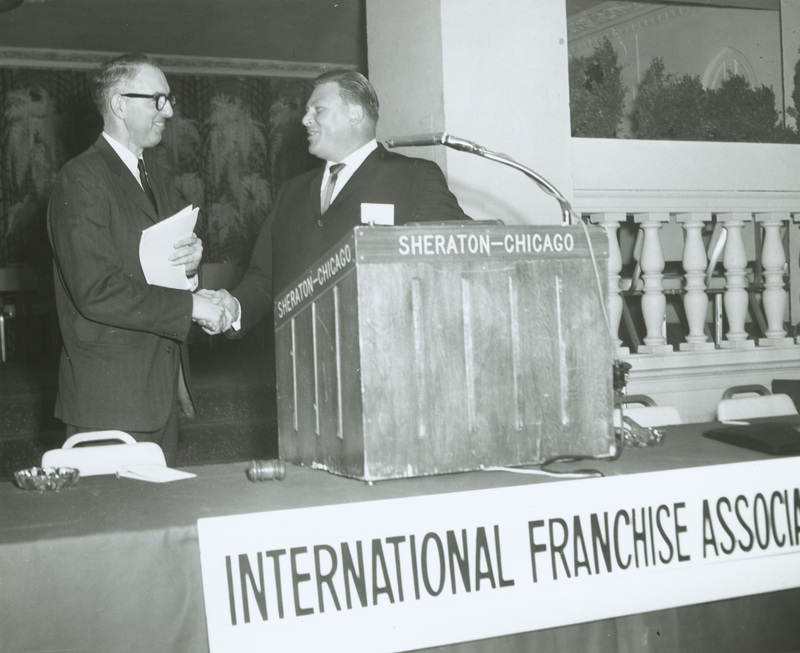 In 1959, Rosenberg had the idea of starting the International Franchise Association (IFA) while attending a franchising convention in Chicago. He and Jack Alpert, a fellow convention attendee, put together the IFA's by-laws. 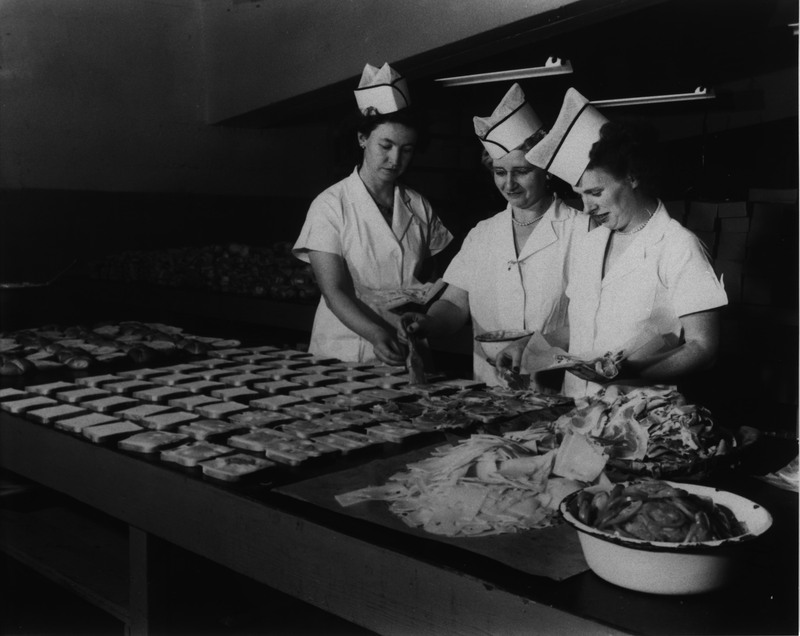 At the time, franchising was in its infancy and faced the threat of being legislated out of existence. With the efforts of the IFA, franchising grew and flourished. 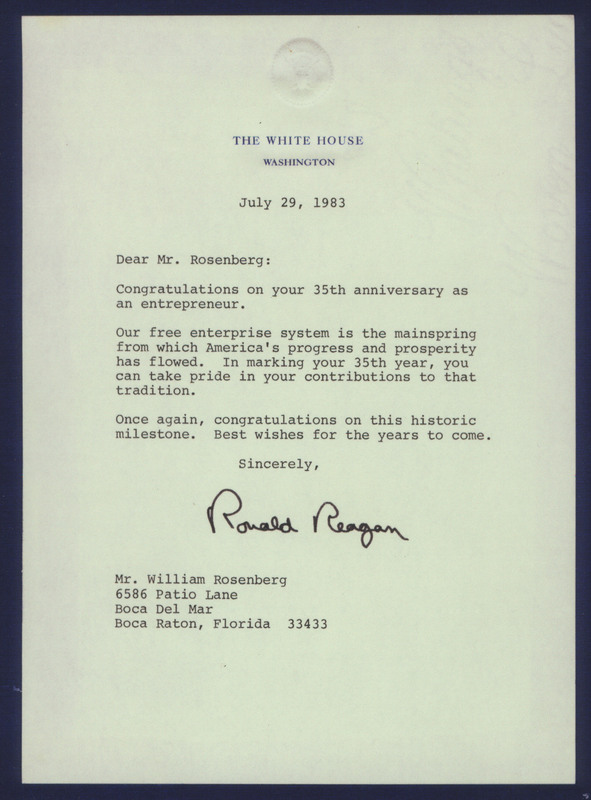 In the 1980s, Rosenberg would have a strong hand in establishing the IFA's Education Foundation. In the late 1960s, Rosenberg became interested in harness racing. In 1968 he purchased Wilrose Farms in East Kingston, NH and set about buying and breeding Standardbred horses. His horses won many important races and sold for record-breaking prices, but in 1976, he sold the entire stock of the farm's horses although he continued to invest in horses. In the early 1970s, he began a campaign for a Sire Stakes program in New Hampshire. 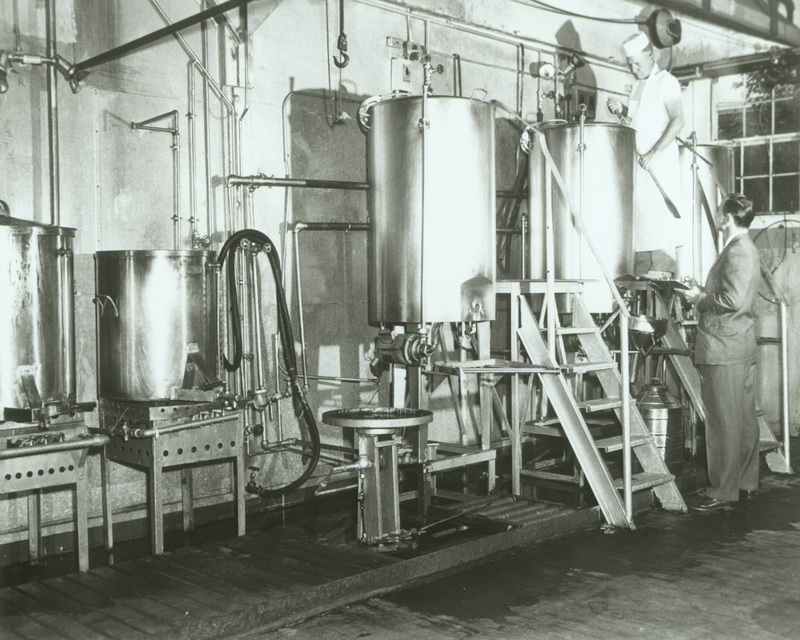 The bill for this program was passed by the NH state legislature in the winter of 1974. Rosenberg helped to found the International Horse Racing Association in the 1980s. In 1980 Rosenberg donated Wilrose Farm to the University of New Hampshire. 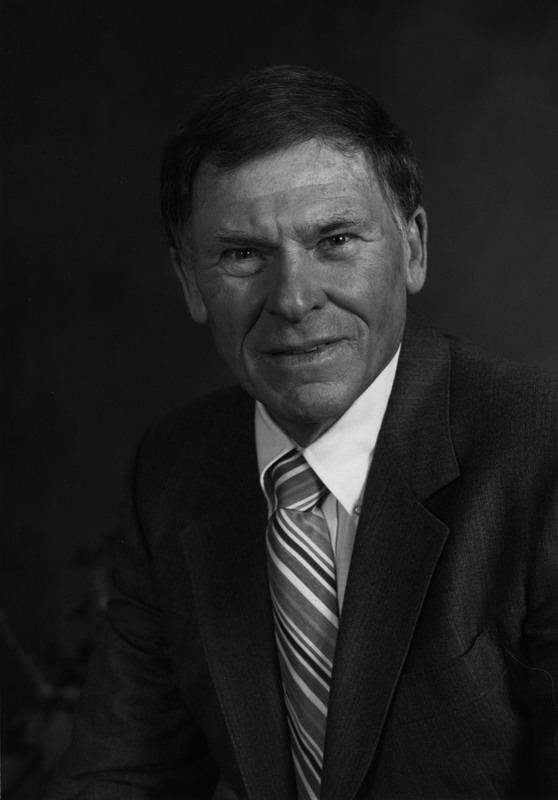 The farm was sold 14 years later and the university dedicated a chair in Franchising and Entrepreneurship in Rosenberg's name, and then in the fall of 2002 launched the William Rosenberg International Center of Franchising. Rosenberg suffered from many forms of cancer. In 1976, he was diagnosed with lymphoma. He underwent radiation treatment under Dr. George Canellos at the Dana-Farber Cancer Institute and fully recovered. 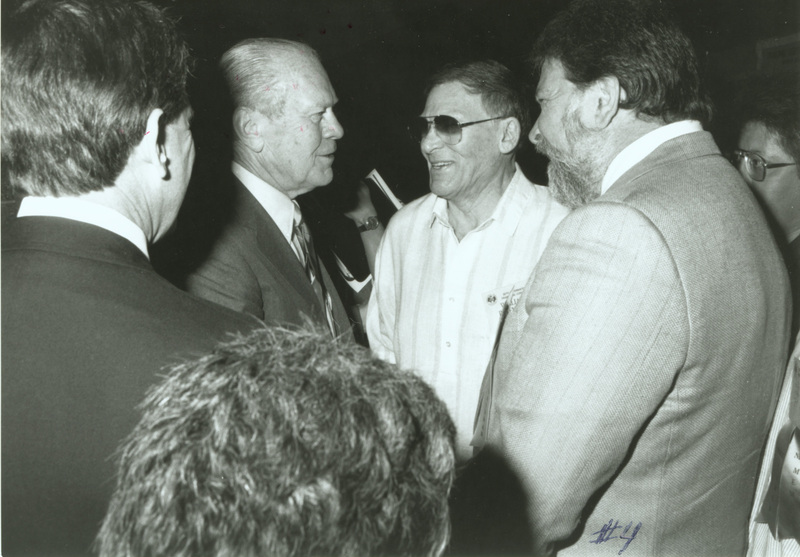 In 1988, the William Rosenberg Professorship in Medicine at the Dana-Farber Cancer Institute and Harvard Medical School was established with the support of the William Rosenberg Family Foundation. Dr. Canellos became the first doctor to hold that professorship. William Rosenberg was married twice. On April 29, 1937, he married Bertha "Bookie" and they had three children, Robert, Carol and Donald. In the late 1960s, Bill and Bookie separated and later divorced. Bill married Ann Aluisy of Farmington, NH on June 24, 1978. Rosenberg's autobiography, Time to Make the Donuts, was published in 2001. On September 20, 2002, William Rosenberg died at his home in Mashpee, Massachusetts. The bulk of the William Rosenberg Collection contains newspaper and magazine clippings and photographs collected by him, business associates and family members. 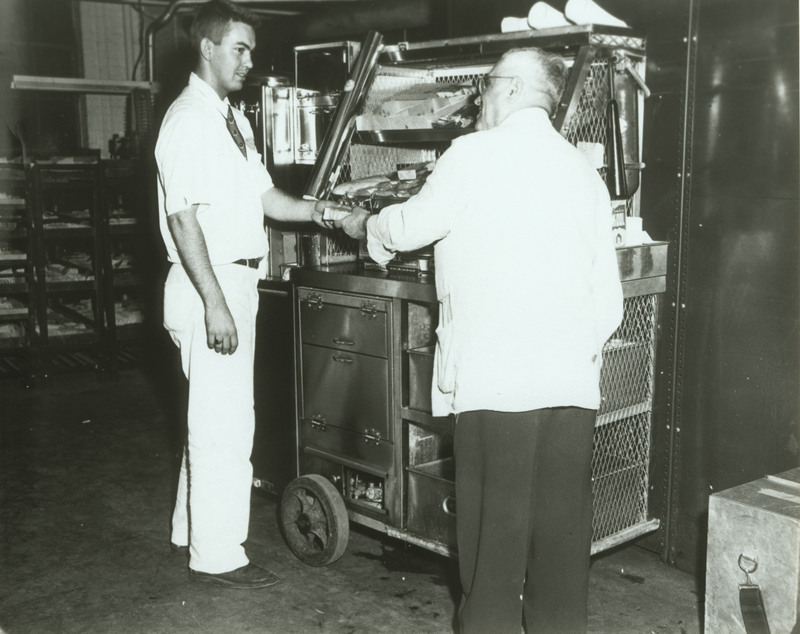 The clippings and photographs chronicle the operations of Industrial Luncheon Services, Dunkin' Donuts, the International Franchise Association, Wilrose Farm and harness racing. Included is a photo-chronicle of Bill's and his wife Ann's 1982 six week trip to Asia to survey Dunkin' Donuts stores there. The highlight of the collection is an original draft of the IFA's by-laws with hand-written notes and comments by William Rosenberg. [Identification of item], [Folder], [Box], William Rosenberg Papers, 1940-2002, MC 187, Milne Special Collections and Archives, University of New Hampshire Library, Durham, NH, USA. This collection is arranged into seven series. The material is organized by subject with each subject further organized into type of material. 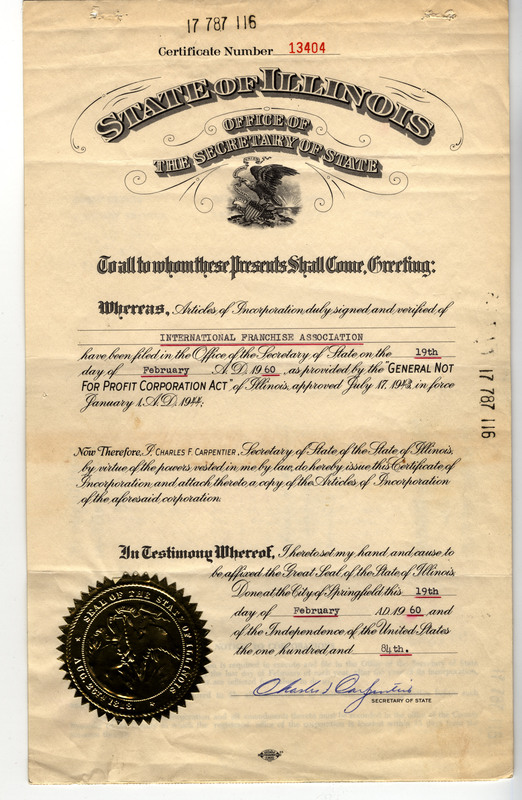 For example, Series II, Rosenberg's business papers, are further arranged into subseries comprised of correspondence, clippings, ephemera, and publications. Photographs are arranged by size. Videotapes make up their own series, as do oversized materials. Telegrams and birthday cards from Rosenberg's 50th birthday party held at the Hotel Somerset on June 11, 1966. Items were originally in a commemorative album. Includes a facsimile of a letter from then Massachusetts' Governor John A. Volpe as well as a few clippings from the album. Box 1, Folder 7 Original and facsimile copy of article mentioned in Rosenberg's autobiography, Time to Make the Donuts. November 1953. Box 1, Folder 10 Quincy Ledger, Monday June 20, 1966 Mass. Gov. Volpe presenting cuff links to Rosenberg on his 50th birthday. Picture with caption. Box 1, Folder 15 An article about the release of his autobiography, Time to Make the Donuts, originally contained in scrapbook. Contains a card from Catherine, an employee, who put the scrapbook together. 2001-2002. Box 1, Folder 17 Invitation to Temple Beth El Festival of the Arts, March 25, 1995. Rosenberg and his wife were honorees. Box 1, Folder 18 To/from Rosenberg/Louis Perlman, 1970-1971. Re: the presentation of a plaque and speech on the occasion of Dunkin' Donut's 20th anniversary. Enclosed with a copy of the speech. Box 1, Folder 24 Industrial Cafeterias, Inc. Consolidated Financial Statements, October 28, 1967 and Menumat Menu and materials list, 1967? Box 1, Folder 25 Early franchise leaflet, "Dollars from Donuts!" Fact sheet about Dunkin' Donuts for prospective franchisees: "I've Got A Secret But I'm Telling You"
Metal plaque or plate: "Thank You For Upholding Our Fine Reputation/Chairman of the Board/Dunkin' Donuts"
Box 1, Folder 26 Invitation to the Rosenbergs for the Blessing and Inauguration of the Dunkin' Donuts shop at the Greenhills Shopping Center, San Juan, Manila, Feb. 6, 1982. Box 1, Folder 27 Brochure for Award for Innovation with note from Robert Rosenberg, 1986? Box 1, Folder 30 Allied Domecq Retailing International Worldwide Partner Conference program, The Orchid At Mauna Lani, Hawaii, March 19 - 23, 1996? 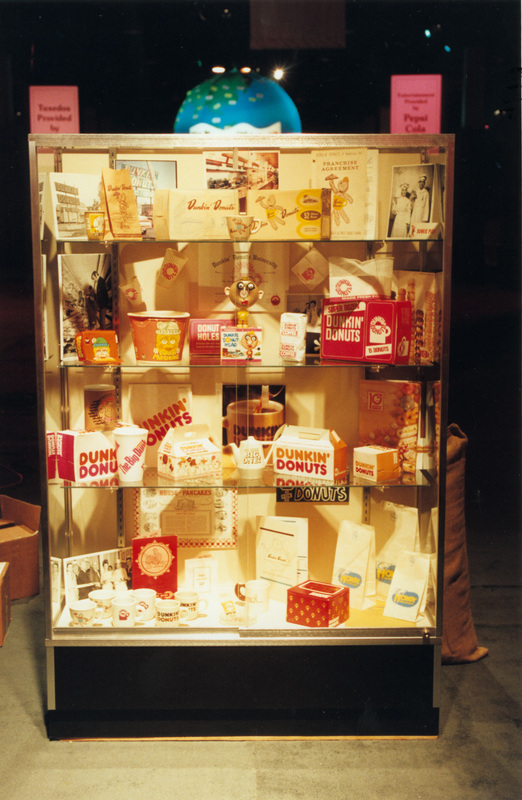 Box 1, Folder 41 1968: Pages 3-6 of unidentified newsletter with picture of 18th anniversary of Dunkin' Donuts shop. In poor condition. Box 2, Folder 5 By-laws for the International Franchise Association, Inc., 1960 with Rosenberg's notations. Includes original and facsimile copy. Box 2, Folder 8 Photocopy of IFMA Chain Operators Exchange (COEX) Annual Banquet program, 1980. Includes photographs of the honorees, including Rosenberg. Box 2, Folder 9 Program for the International Franchise Association 1982 Annual Convention, January 31 - February 4, Kauai, Hawaii program. Box 2, Folder 12 Information folder for the International Franchise Association Educational Foundation, Inc. Box 2, Folder 14 Presentation certificate from Louisiana State University and the International Franchise Association to Rosenberg to bear the title "Certified Franchise Executive." Box 2, Folder 15 Awards Program for Annual Meeting of the IFA in January 1991 in Palm Springs, CA. Rosenberg and his wife did not attend. Box 2, Folder 16 1992 IFA Awards Program "Salute to Leadership" and another program for the 32nd International Franchise Convention held February 2 - 5, 1992 in Palm Desert, CA. Box 2, Folder 29 Brochures for Wilrose Farms, 197? Box 2, Folder 37 Wilrose Farms Complete Dispersal of Broadmares and Weanlings, November 22, 1976, Tattersalls, Lexington, Kentucky. Catalog of horses. Box 2, Folder 38 "The Black Book Part 2: Special Catalog Wilrose Farm Dispersal, featuring the 42 mares owned by the partnership of Lana Lobell Farms and Wilrose Farms. Selling Thursday Evening, October 31st Session begins at 8:00 P.M." Includes hand-written amounts beside most horses. Box 2, Folder 39 Weekly Track Topics (of the Harness Tracks of America, Inc.), August 30, 1985. Lead article: "Bob Rossilli Named As Director of NAHRMA Marketing Operations." Box 3, Envelope 6 Rosenberg seated at desk, January 1982. Taken for ‘Million Dollar Bill' layout for Headline Brokers ad. Box 3, Envelope 7 As above, but different view. Box 3, Envelope 8 As above, but different view. Box 3, Envelope 9 As above, but different view. Box 3, Envelope 10 Rosenberg and wife, Ann. Information as above. Box 3, Envelope 11 As above, but different view. Box 3, Envelope 12 As above, but different view. Box 3, Envelope 13 As above, but different view. Box 3, Envelope 42 As above, with President Gerald Ford and Arthur Karp, Great American Choc Chip Cookie Co. Box 3, Envelope 52 Rosenberg and others (including Ann before they were married), photograph by Herb Zimmerman, 1974? 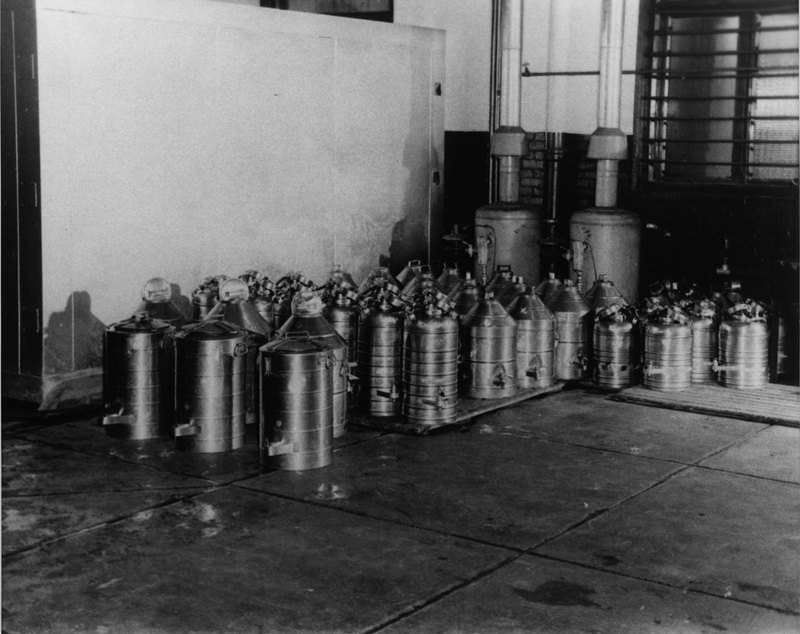 Box 3, Envelope 54 "Industrial Luncheon Service in South Boston; these are the original coffee urns before we developed the 100 gal units; smaller ones for the trucks." Box 3, Envelope 56 Drivers loading their carts and checking out. Mel Helpin, Supervisor. My Dad. 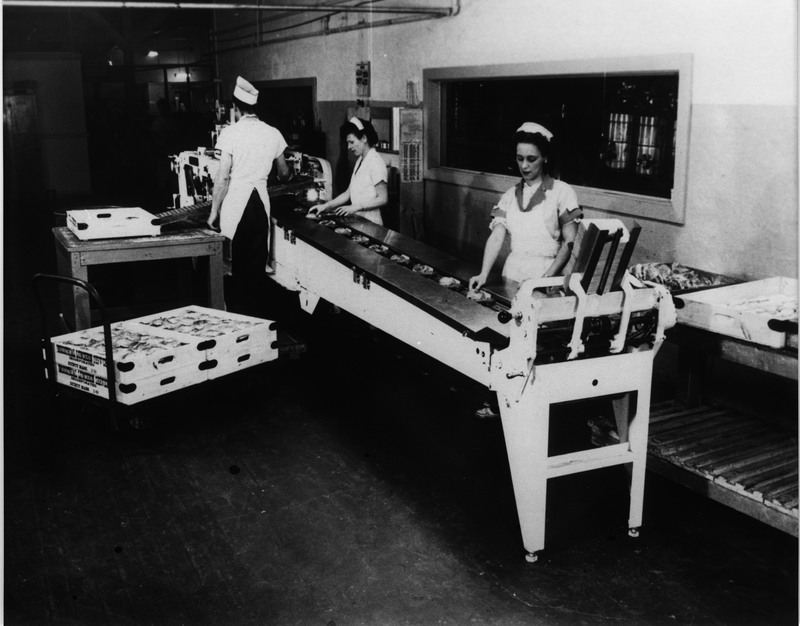 Box 3, Envelope 57 South Boston prior to conveyor belt; sandwiches were made by hand. Mary Deggan, 3rd woman. 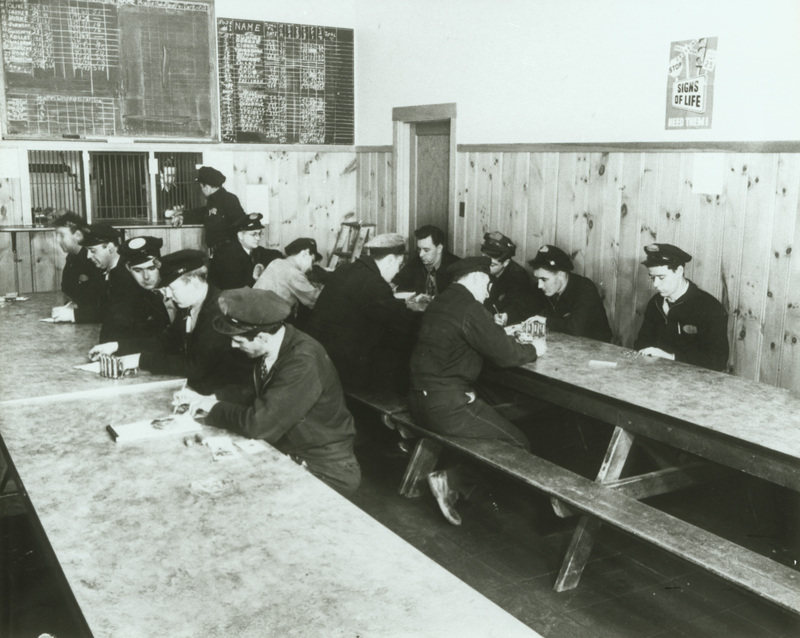 Box 3, Envelope 68 Drivers' turn-in room; bulletin boards for contests for maximum sales. ‘Red' Hare and Blackie Gordon. Box 3, Envelope 71 Sample industrial cafeteria (at Telechron Clock? – is that (no) WR and personal director of Telechron?? 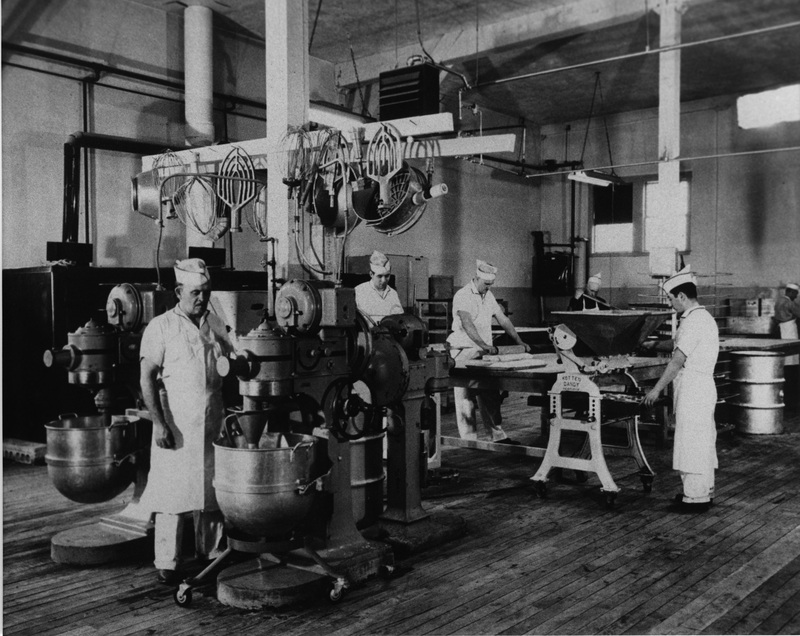 Box 3, Envelope 72 Storeroom of the bakery at 1st I.L.S. location? 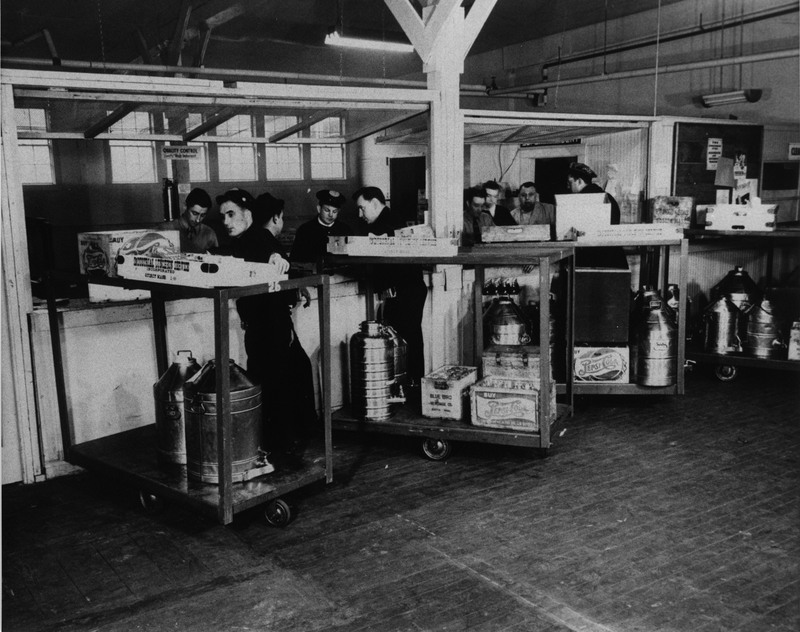 Box 3, Envelope 73 Coffee break at Tubular Rivet or Pneumatic Scale Co. Box 3, Envelope 93 Howdy Beefburger, Fall River, Mass. Box 3, Envelope 94 Howdy Beefburger and DD opening; WR's idea to place them together for common parking lot. 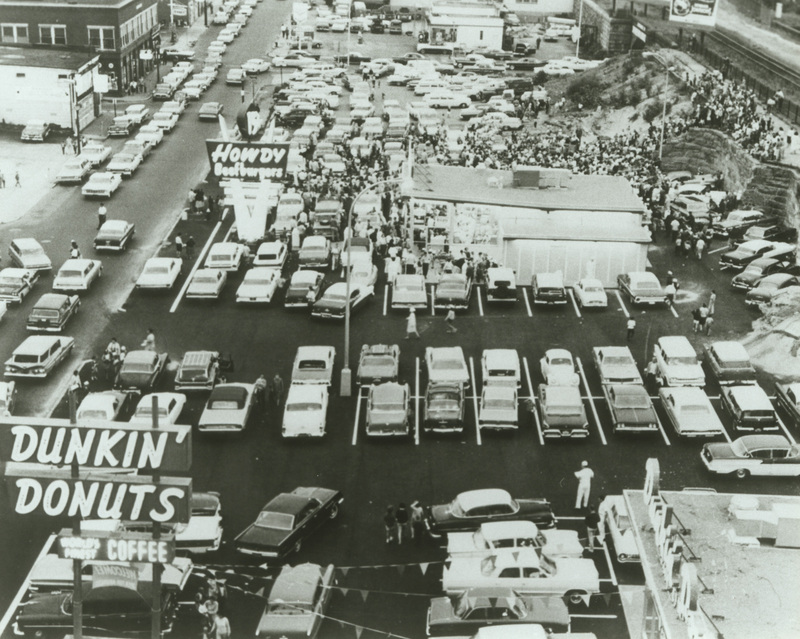 This about 1960 in Brockton. Box 3, Envelope 97 Torrington, Conn. Donut & Food Store. DD and food operation store. Box 3, Envelope 103 Rosenberg, Robert Rosenberg, and Ellie Leary at the celebration of her twenty-fifth anniversary working for Dunkin' Donuts. She was the first switchboard operator at the Quincy. 1981 or 1982. Box 3, Envelope 122 WR being interviewed by WOR station in NY; in 1962 he was interviewed by Don McNeill on "Breakfast Club" show. He was President of I.F.A. in 1962. Box 3, Envelope 123 Elmer Winters (Founder of MANPOWER, INC.) accepting the International Franchise Association Presidency from William Rosenberg, 1962. Box 3, Envelope 124 Al Tunick, WR, prob Amonoso (Hyatt Regency), Grant Mauk, Elmer Winters, Ted Franks (Beltone), One Hour Martinizing VP, Burger Chef VP, one from Snap-on-Tools, 1962? In front of The King Arthur Room. Box 3, Envelope 125 Rosenberg and other executives at the COEX (Chain Operators Exchange) Annual Banquet, 1980. Box 3, Envelope 126 Rosenberg and three other executives (Pat O'Malley, Pres. of Canteen Group; Kemmons Wilson, Holiday Inns, and unidentified man from ARA) at the COEX (Chain Operators Exchange) Annual Banquet, 1980. Box 3, Envelope 127 Rosenberg receiving IFA Educational Foundation award presented by Arthur Karp, Chairman, 1990. Box 4, Envelope 62 South Harbor, Manila, Philippines. View from Manila Hotel. Box 5, Tape 4 Working On The Dream, Show #301, 23 mins. 1992. Rosenberg is interviewed 7:30-14:08 in segment called "True American Entrepreneur" – features brief biography of Rosenberg, Rosenberg talks about Dunkin' Donuts, franchising and the American Dream. Box 5, Tape 5 Working On The Dream, Program For Success Infomercial, Robert Sturgis Productions Minneapolis, MN 1992, 28:19 mins. Box 5, Tape 6 Working On The Dream, "Marketing Yourself" Robert Sturgis Productions Minneapolis, MN 1993, 22 mins. No mention of Rosenberg. Only short clip of him in opening credits. Box 5, Tape 7 Rombouts, Antwerp, Belgium, October 1983, 41:34 mins. 0:00-14:04: Rosenberg and others taste-testing coffee grounds. Rosenberg mostly in background. 14:05-41:34: Rosenberg vacationing in Acapulco, Mexico. Box 5, Tape 8 William Rosenberg Address to AVF Summer Meeting 1989, 20:40mins. Topic of speech is birth, growth, and future of franchising. Box 5, Tape 9 William Rosenberg home video, February 6, 1988, 45:06mins. Harness Horsemen International HHI Awards. Box 5, Tape 10 William Rosenberg home video, February 6, 1988, 45:06 mins. Harness Horsemen International HHI Awards. Box 5, Tape 11 William Rosenberg home video, February 6, 1988, 35:19mins. HHI Awards. 16:49-27:22: "Racing From Meadowlands" TV interview with Rosenberg. Rosenberg talks about harness racing, breeding horses and his wife's horse, Green With Envy. 32:08-35:19: Business Times on ESPN. Report on horse racing. Box 6, Tape 1 William Rosenberg Harvard Medical School Speech, May 28, 1988, 23:13 mins. 13:13-19:06: Presentation of gift to Rosenberg from Medical School, Rosenberg makes speech. 19:10-23:13: Family and friends of Rosenberg on yacht. Box 6, Tape 2 Duskin Pia, 1991. 12:17mins. Advertisement for buildings. Entirely in Japanese, no mention of Rosenberg or Dunkin' Donuts. Box 6, Tape 3 "The Money Wheel," Money Talk CNBC-TV "Franchises," December 1, 1992, 12:46 mins. Mentions International Franchising Association. Box 6, Tape 4 Moneyline CNN TV "Franchises," November 17, 1993, 2:43 mins. No mention of Rosenberg or Dunkin' Donuts. Box 6, Tape 5 Dedication Ceremony for the William Rosenberg Chair in Franchising & Entrepeneurship, University of New Hampshire, June 11, 1994. Features Rosenberg on franchising, the founding of IFA, and quality and improvement. Box 6, Tape 6 First Business, USA Cable "Franchising" Parts 1 & 2, 6:34 mins. Report on 34th International Franchise Convention in Las Vegas, Nevada, 1994. 1:32-1:53: Snippet of interview with William Rosenberg. Box 6, Tape 7 WPBT Program Trust Fund Cut #4, 1 min. Ad for Trust Fund listing donors. The William Rosenberg Family Foundation Fund for Programming is amongst them. Box 6, Tape 8 William Rosenberg interview with Arthur Lipper at the International Franchise Association Annual Meeting, January 30, 1985. 5:29 min.